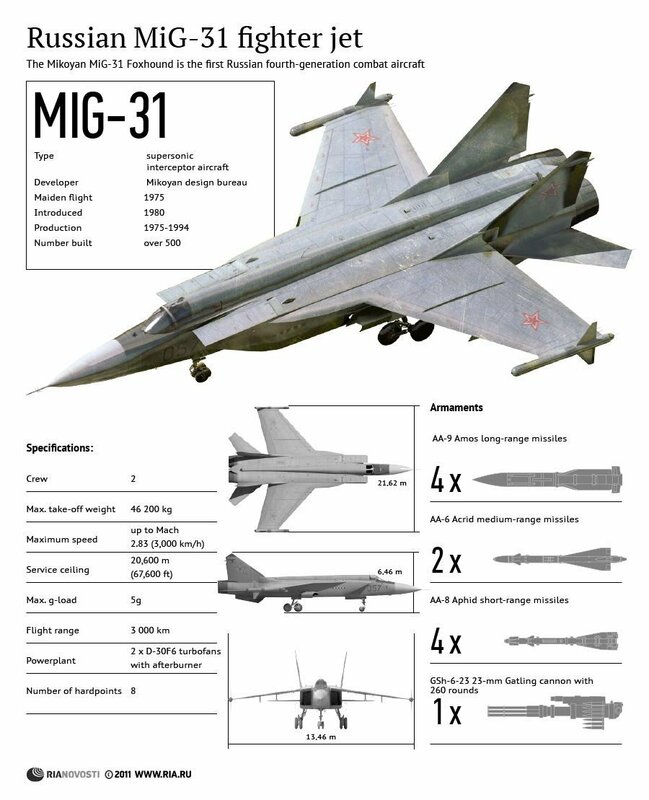 Russia has not sent Mikoyan MiG-31 supersonic interceptors to Syria and does not intend to operate the aircraft in the war-torn country, CEO of Russian Aircraft Corporation MiG Sergei Korotkov stated refuting recent rumors. On Monday, unconfirmed reports surfaced that six Russian MiG-31s landed in Syria as part of an arms deal allegedly signed in 2007. The aircraft were said to have arrived at a Mezze Airbase on the outskirts of Damascus a day earlier. The supposed delivery, according to the Turkish BGN News agency, reflects Russia's intent to help Damascus counter the Islamic State. The MiG-31 (NATO reporting name: Foxhound) made its maiden flight in 1975. Manufactured by the Russian Aircraft Corporation MiG, it is in service in Russia and Kazakhstan. The Russian Air Force is expected to operate the supersonic interceptor until at least 2030, according to the Russian Defense Ministry. The MiG-31 is designed to detect and destroy air targets at extremely low, low, medium and high altitudes, at day and night time and in any adverse weather conditions. IHS Jane's described the supersonic interceptor as a "highly capable platform that features some of the latest sensor and weapons fits."